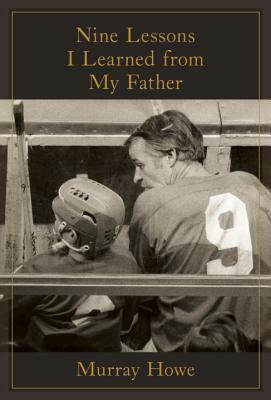 Part Tuesdays with Morrie, part Mr. Hockey, Nine Lessons I Learned from My Father is a son's intimate account of all that lies behind the towering legacy of the beloved Gordie Howe. When Gordie Howe passed away, the world paused to acknowledge the legacy of the game's greatest player. For twelve straight hours--9 to 9--thousands of mourners passed through Joe Louis Arena in Detroit to pay their respects. The game's elder statesmen dropped what they were doing to gather for the funeral. Fans young and old flew in from around the world. Wayne Gretzky argued that Howe's number 9 should be retired league-wide. Barack Obama issued a statement recognizing what Gordie Howe meant to the game. As one after another dignitary spoke, it became clear that as staggering as Howe's achievements were on the ice, he was even greater as a person. In story after story, friends and rivals alike painted a portrait of a man the likes of which we may never see again. How could someone so revered also be so humble? How could someone who fought so hard also be so gentle? How could someone of whom so much was expected routinely astonish those around him by doing more? The man named Gordie Howe--not the hockey player, not the legend, but the living, breathing man--came into focus when his son, Murray, approached the podium to deliver the eulogy. The mourners in the packed cathedral, and those watching on television, got a glimpse of what a man who was a hero to generations looked like to his own children, and what his life looked like to those whose lives he shaped. The Gordie Howe his son introduced to the world was in many ways a teacher. Through his words and, more importantly, through his actions, he showed those around him what it means to live a life you can be proud of. Those lessons formed the backbone of the eulogy his son delivered, as it does the book that grew out of it. Unlike his two brothers, Murray Howe failed in his attempt to follow in his father's footsteps to become a professional athlete. Yet, his failure brought him to the realization that in truth, his dream wasn't to be a pro hockey player. His dream was to be his father, Gordie Howe. To be amazing at something, but humble and gracious. To be courageous, and stand up for the little guy. To be a hero. You don't need to be a hockey player to do that. What he learned was that it is a waste of time wishing you were like someone else. We need to identify and embrace our gifts. Gordie Howe may have been the greatest player in the history of hockey, but greatness was never defined by goals or assists in the Howe household. Greatness meant being the best person you could be, not the best player on the ice. This book will take the reader through the hours Murray spent writing the eulogy--the hours immediately after his father's death, as he gathers his thoughts and memories, and makes sense of what his remarkable father meant to him. The result is nine lessons, built out of hundreds of stories, that show us the man behind the legend and give us a glimpse of what we can learn from this incredible life.